Handcrafted Buckle and Belt by Waitz Design. 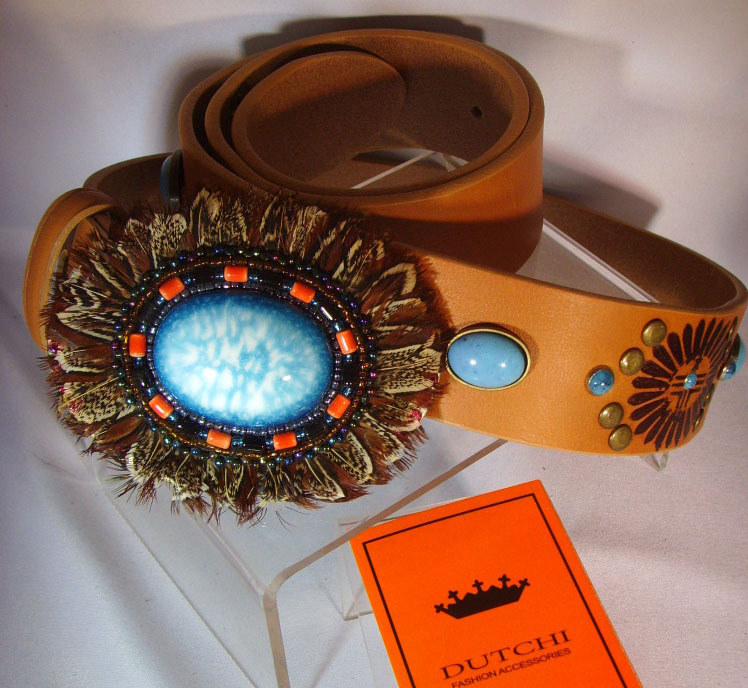 Native Indian design with feathers, studs, stamps, and porcelain. 1.6" wide.